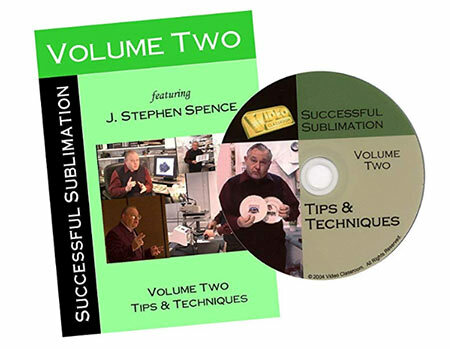 In Volume One you learned what you needed to be successful with sublimation. Volume Two shows you how with complete, step-by-step instructions for all of the most common substrates, including: Metal, FR Plastic, Hardboards, Fabric, Cups and Glassware, Ceramic Tiles and Plates. Plus, Steve shares his time- and money-saving tips from 15 years of successful sublimation business for avoiding most mistakes before they happen.